A spin off of our Another Way to Rye – A bold rye, India pale ale dry hopped with Simcoe hops. A robust stout brewed with 3 different dark malts, infused with Olive & Sinclair cocoa nibs. 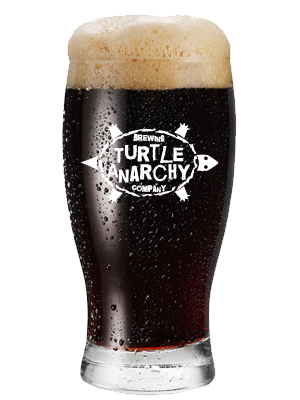 A robust stout brewed with 3 different dark malts, infused with roasted coconut. A robust stout brewed with 3 different dark malts, infused with Thai curry spices. A robust stout brewed with 3 different dark malts, infused with vanilla bean and Olive & Sinclair cocoa nibs. A robust stout brewed with 3 different dark malts, infused with gingerbread spices. Offered in the Winter Season. Our taproom is currently under construction and will be open soon. Follow us on social media for updates about the brewery and our beers. 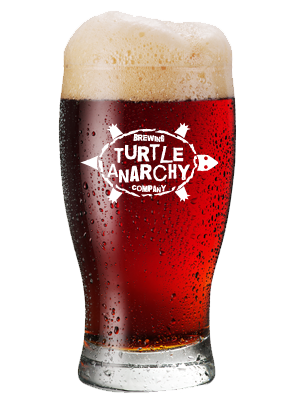 © Copyright 2012 Turtle Anarchy Brewing Company. All Rights Reserved.